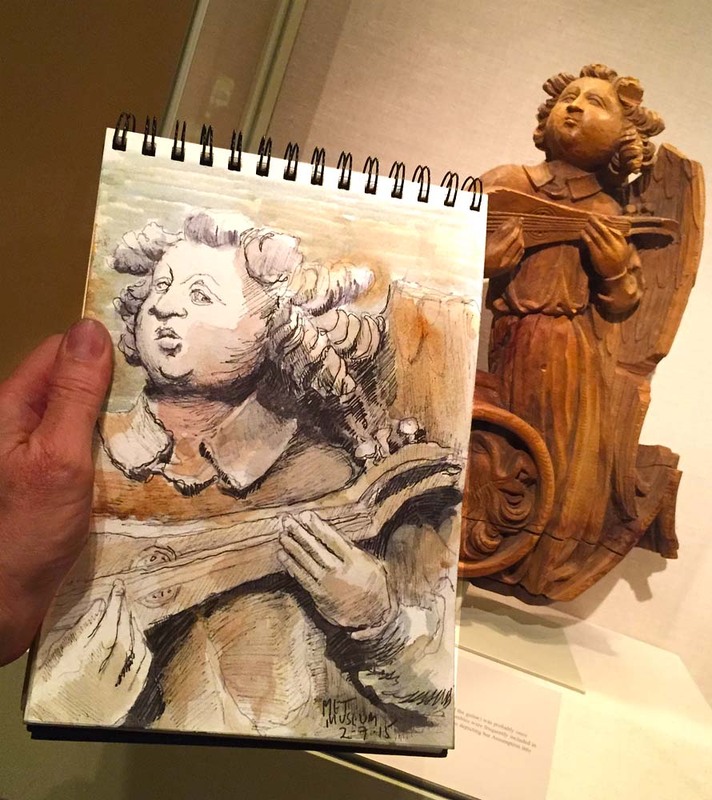 I found this little carved wooden angel in a quiet corner of the Medieval Art section, which was my only sketch of the day. The quiet serenity of this little statue gave me a sense of peace, and I remembered the quote by Robert Henri, "The coming into the presence of a piece of art you truly love causes a tremendous revolution to occur in you"
Thanks, Sketchers, for the opportunity! Jeff, it was great seeing you today. Love your sketch of the angel! You used perfect materials for it! !